Meanwhile, New Zealand's Cabinet has backed changes to gun laws in the country just three days after 50 people were killed in shootings at two mosques in Christchurch. Police have also confirmed they believe "absolutely" that only one perpetrator was responsible for the attacks during Friday prayers. On Monday, prime minister Jacinda Ardern said the Cabinet had made "in principle" decisions about gun law reform, with further details to be announced by next Monday. "This ultimately means that within 10 days of this horrific act of terrorism, we will have announced reforms which will, I believe, make our communities safer," she said. 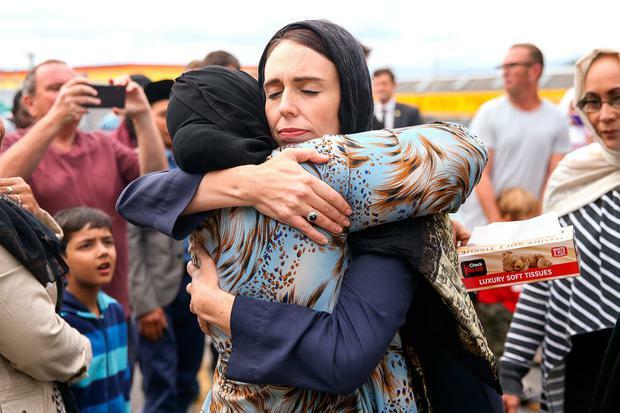 Ms Ardern said the Cabinet was "absolutely unified", and said the shootings had "exposed a range of weaknesses" in New Zealand's gun laws. David Tipple, owner of Gun City, said the alleged gunman bought four "A category" firearms and ammunition through a "police-verified online mail order process". Mr Tipple told reporters: "I returned from Europe on Saturday and immediately searched all our purchase records and found the alleged gunman's purchases. I provided the police with full details of the sales. "We detected nothing extraordinary about this licence holder." He added: "The MSSA (military-style semi-automatic) reportedly used by the alleged gunman was not purchased from Gun City." Mr Tipple said he and his staff were "devastated" by the shootings, adding: "We can't comprehend how such despicable actions could be carried out on those in prayer in their place of worship." "We believe absolutely there was only one attacker responsible for this," he said. "That doesn't mean there weren't possibly people in support and that is to form an important part of our investigation." New South Wales Police said: "The primary aim of the activity is to formally obtain material that may assist New Zealand Police in their ongoing investigation." 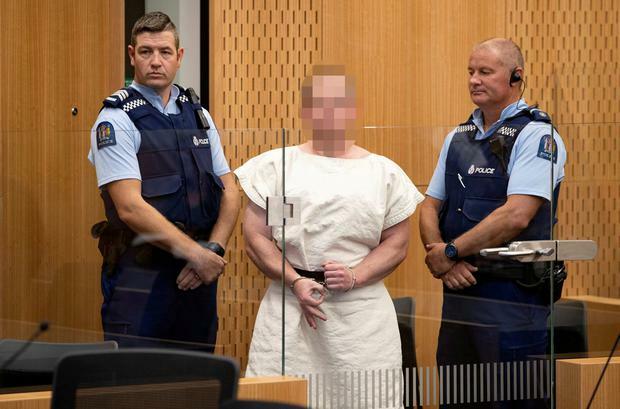 "The family of the Australian man arrested in Christchurch continues to assist police with their inquiries." In the video live-streamed by Tarrant, a man inside a mosque appears to say: "Welcome brother", as a gunman approaches.